Our double glazing service offers the replacement or repairs of any part of your existing windows or doors. We have a team of trained and qualified glazers who will visit you and make an assessment of the current state of your windows or doors. We’ll then make recommendations as to the best ways to effectively remedy the problem. We find that it is often not necessary to replace the entire window, as the lack of functionality is regularly caused by a break down in any number of aspects of the window or door unit. Common problems include; a breach in the double glazed seal, a broken locking mechanism or an issue with a handle, hinge or balanced spring. As a result we offer a range of alternatives to completely replacing your window, where possible initiating the repair or replacement of the actual part causing the problem. Our team at Comely Bank Glazing have access to a wide range of parts such as locking mechanisms, handles, hinges and sash balance springs, making us confident that we can find a solution for your issue, efficiently and with minimum disruption. Our team is even confident that where a part has been discontinued due to age or upgrade, we will be able to source a similar and equally effective part. This means we can provide a cost effective alternative to replacing older window and door systems. Another issue that can cause problems for insulating your property is the misalignment of doors and windows. To resolve this we can realign your door or window to ensure that it opens and closes smoothly, removing any gaps creating draughts in the property. 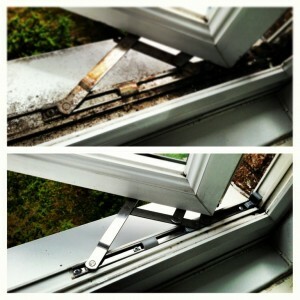 A common problem in window systems is a breach of the sealed unit. 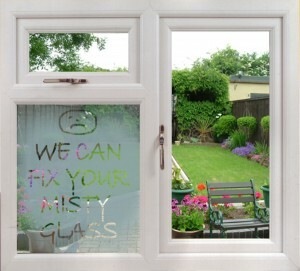 This often creates a misting effect inside the double glazing unit. In this instance the perimeter edge seal is letting in moisture, causing a condensation effect between the panes of glass in the unit. The moisture is effectively trapped and can appear as misting initially, over time condensing into water. The only way to repair this is to fit a new double glazed sealed unit. This process does not involve alteration to the frame, which means that a straight forward repair can be made with minimum disruption. Misting can occur where a double glazing unit has not been properly fitted into it’s frame, reducing the length of time the seal will be effective. If you are experiencing misting in your double glazed unit, it is also possible that environmental factors, such as wind, will have played a part. It is also possible that exposure to certain chemicals, including those found in washing up liquid, can cause the perimeter seal to perish. Our team of advisors will be able to easily diagnose the cause of the broken sealed unit once it is removed from the frame. This will enable us to give advice and recommendations on preventative measures to avoid recurrence of the problem, where external factors were the source of the issue. We are fully accredited, and all our work is carried out by fully qualified experts. Make contact with us today and we’ll give you all the information you need.